The Middletown Insider: St. Jude - Hear Elizabeth Roar! St. Jude - Hear Elizabeth Roar! Elizabeth has fierce plans for Halloween this year, with a costume that will show her inner strength and bravery. During her battle with leukemia at St. Jude, Halloween became a time of celebration, even when she wasn't feeling so strong. 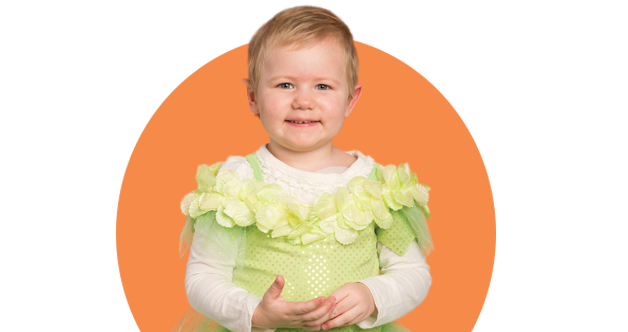 Read Elizabeth's story, and find out what she is going to be for Halloween this year. Find out how this talented young lady has raised more than $100,000 for the kids of St. Jude. The holiday Gift Shop items are here! Be among the first to view one-of-a-kind holiday gifts and items that benefit St. Jude kids. No, that's a St. Jude Hero! Heroes don't always wear capes — but this one does. See what drives her to support the children of St. Jude.